The Walker Family originated from Bromley Baldwin County, Alabama According to records (census and death) Dock Walker aka Papa the patriarch of the Walker Family was born April 12th sometime between 1864 and 1866 in Baldwin County. As family history has it Dock had and older sister named Angeline who was at least two to four years older than him and a older half brother named Henry Sledge which to whom he shared the same mother with. 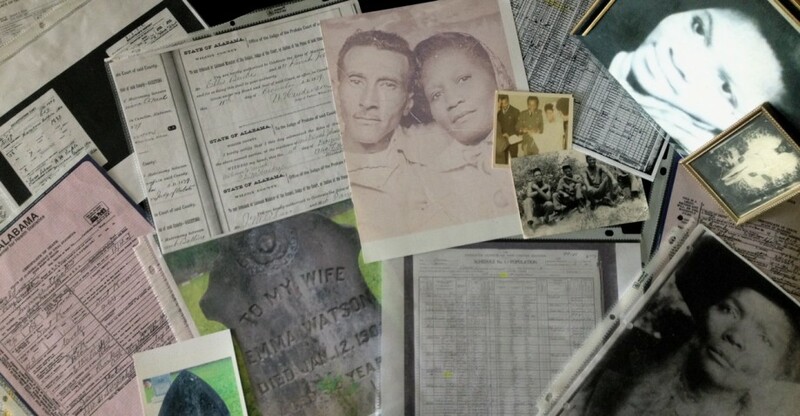 Little is known about upbringing and his family background, on both Dock’s and Angeline’s death certiﬁcates a man named Handy Walker is listed as their father but there is no mother listed but on Henry’s death certiﬁcate a woman named Harriet Sledge is listed as his mother. Could this be the names of Dock’s parents Handy Walker and Harriet Sledge? Well I don’t know the information on death certiﬁcates are not facts, they are whatever the informant knows or thinks they know to be right. On the 1870 census in researching I found a boy named Dock age six a young girl named Angeline age 10 along with a teenage named Henry age 17 living with Andrew and Mimery Walker but their last name wasn’t Walker it was Ledger and there were two others in the household, a man named Shadarach age 26 and a teenager named Mary age13 could this have been Dock and his family? Even though I haven’t found anymore information regarding the Ledger’s I believe this is Dock and Angeline. Dock Walker married his ﬁrst wife Lillie Rauzy or Ranzy on February 16th 1889 in Baldwin County, Alabama; they had eight children Emile, James, Dufﬁe, Cleo, Emma, Joseph, Harriet and Wilson. Lillie fell ill shortly after giving birth to Wilson and died on December 25th 1909 in Mobile, Alabama. Aftter Lillie’s death Dock married Ms. Rosie Carter on December 28th 1910 and added six more children to the Walker clan Ceclia, Caroline, Percy, Ethel, Dock Jr. and Leon. Not only was Dock a family man but a businessman as well, Dock owned a large amount of land in Bromley, AL which housed farmland, different types of fruit trees, cotton, along with a small general store ran by Aunt Rena (Wife of James Walker) and a small school house which some of his children and grandchildren attended. Sadly today the Walker family property in Bromley, AL is no longer owned by the Walker Family. I heard Dock Walker was a little man in size but a big man at heart, who was a hard working God fearing, family orientated businessman that didn’t take any mess. On March 22nd 1953 Dock Walker passed on in Baldwin County, Alabama leaving behind his wife Rosie, his children and a host of grandchildren. Today not only does Dock Walker’s surname live on but his legacy does too. Dock’s headstone can be viewed along with his ﬁrst wife Lily, sons James and Dufﬁe and sister Angeline in businessman that didn’t take any mess. On March 22nd 1953 Dock Walker passed on in Baldwin County, Alabama leaving behind his wife Rosie, his children and a host of grandchildren. Today not only does Dock Walker’s surname live on but his legacy does too. Dock’s headstone can be viewed along with his ﬁrst wife Lillie, sons James and Dufﬁe and sister Angeline in Westview Cemetery a small cemetery off of Hooks Road in Bromley, AL.a small cemetery off of Hooks Road in Bromley, AL.